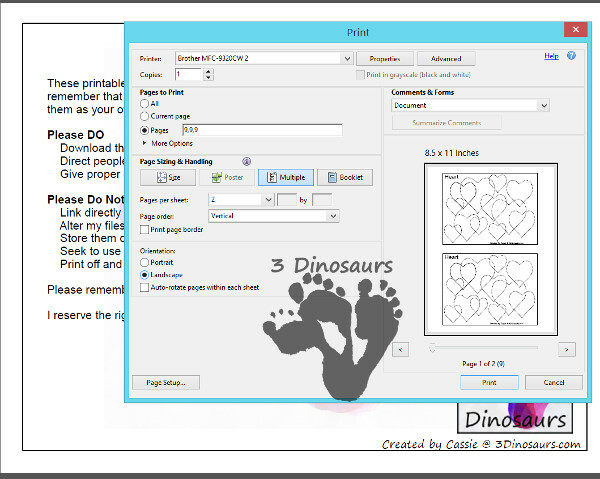 We are always looking for new ways to use the printables that I make. 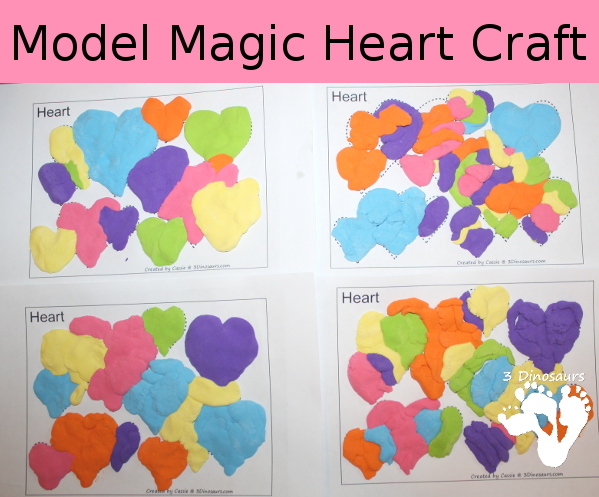 We did this fun hands on model magic heart craft by doing just that. 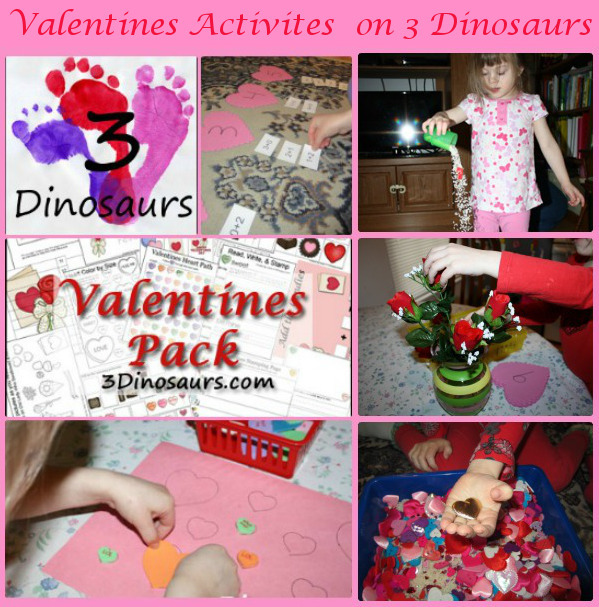 This is a great fine motor activity plus being creative with the materials that you have on hand. What I like best about this project is that it allowed everyone to make their hearts how they wanted. No one did it the same way. 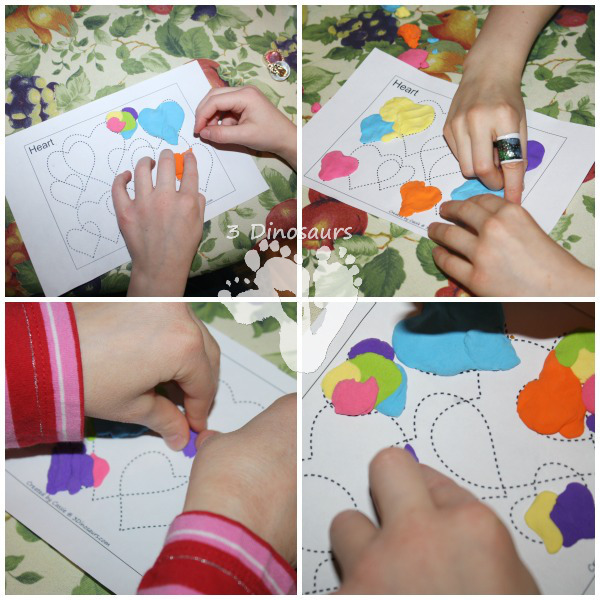 They each got to choose colors and how the heart worked out on their own. This was a project where I gave them the tools and they did what they wanted with it. 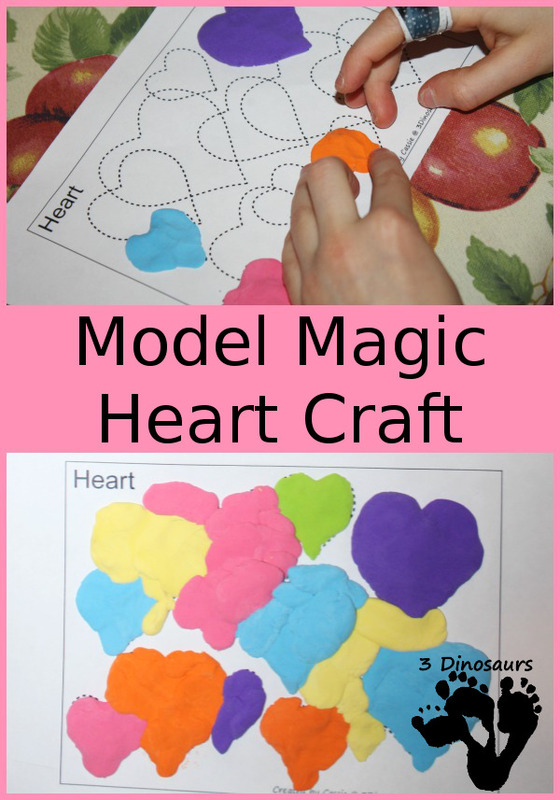 What you need for this activity: Model Magic and the Shape Trace & Color Printable. I printed the Shape Trace & Color Printable two per page so that they would be smaller for the project. 2. Select pages 9, 9. 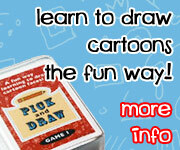 As we worked with the model magic it was a small challenge to get it into shapes on the page that you wanted. We did a lot of pinching and pushing with our fingers. This was a really great fine motor workout for the fingers. You had to think about the size of the shape you were working in and how much model magic you needed. 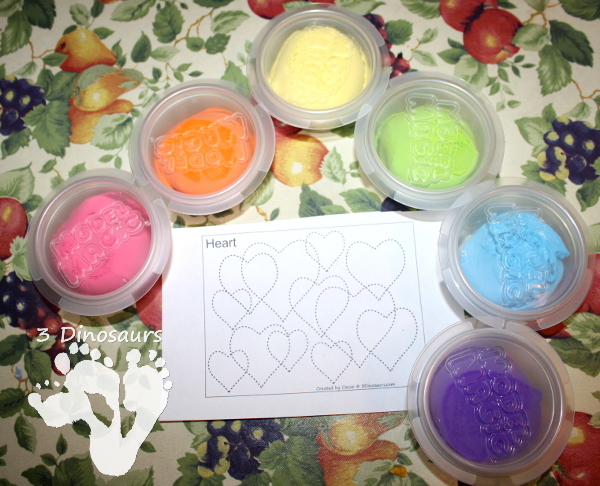 Don’t forget this is a project that can be done with any of the Shape Trace & Color Printables. This entry was posted in art and crafts and tagged craft, model magic, using printables. Bookmark the permalink.